An art project photographing chalkboards after quantum mechanics lectures. Air gaps: pretty much essential for marine navigation. NASA did not predict the collapse of civilization, despite an overhyped news-cycle saying they did. Reoccurring bouquets at Mission Control from NASA's not-so-secret admirers. Life on Titan would be really weird. 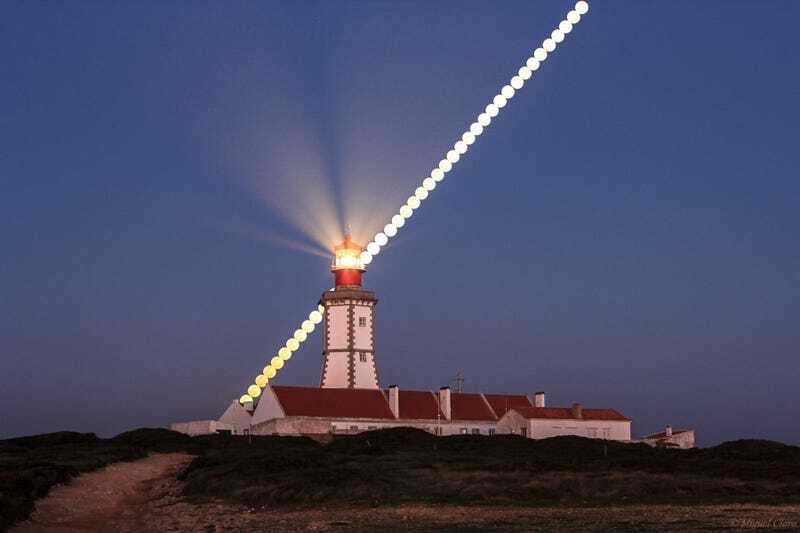 Photograph by Miguel Claro of the full moon at Cape Espichel lighthouse. Used with permission, thank you!